The Keto Diet has been growing in popularity over the years and many participants are asking the question: Is Kombucha Keto? Given what we know about the Ketogenic Diet and what we know about kombucha leads us to a few conclusions. The answer is yes, with some stipulations that you must be aware of. 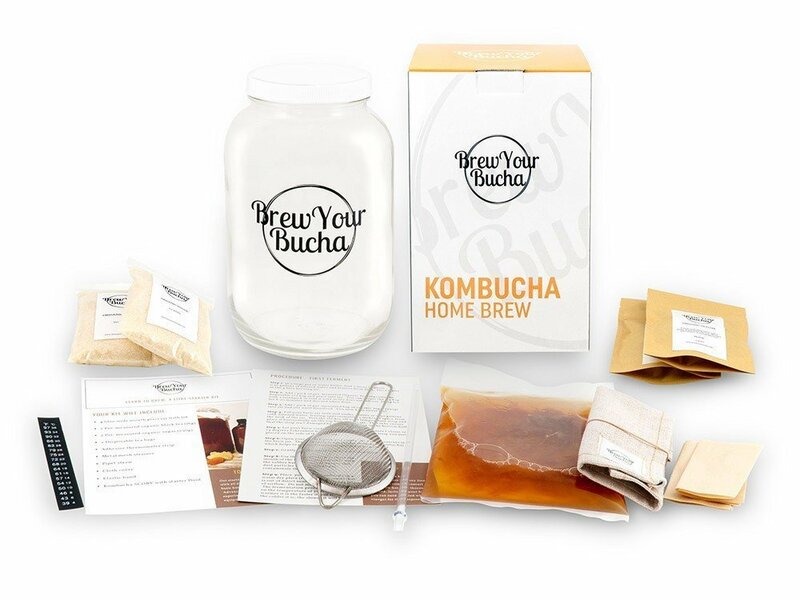 So if you are a regular kombucha drinker who is considering starting the Keto Diet, or, you are an active Keto Diet practitioner who is considering drinking kombucha, your answers lie here in our kombucha blog today! For those of you unaware of the Ketogenic Diet, it is a low carb, high fat based diet which touts many health and weight loss advantages. The principles of which revolve around the fact that eating less carbs encourages your body to produce less Glucose and Insulin. Glucose: this is the most basic energy source for your body to convert from food to energy, by default it is the energy source used first. Insulin: a hormone produced in the pancreas which regulates the amount of glucose in the blood. Since the body will naturally use glucose as it’s first option of energy, fats will be stored in reserve in the meantime. 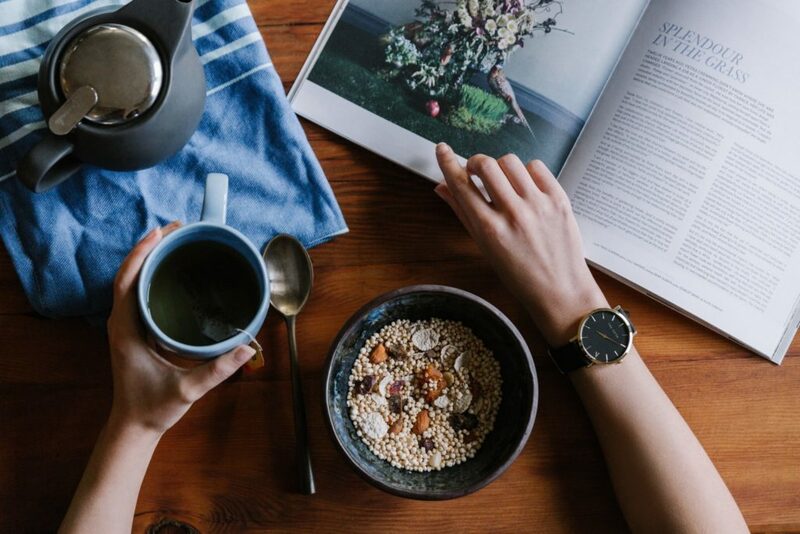 By reducing the amount of carbs ingested in the body, we reduce the availability of glucose and thereby force the body to use other methods to obtain energy. This puts the body in a state that we call Ketosis. Ketosis is a natural metabolic process in which our body doesn’t have sufficient glucose for energy. Instead, it burns fat reserves. This results in a build-up of acids called Ketones in the body. This process trains the body to use Ketones as the primary source of energy instead of the usual carbs first process. To enter Ketosis, generally you need to eat less than 50 grams of carbs per day and sometimes as low as 20 grams per day. This means close monitoring of foods containing carbs such as sweets, fruits and grains. It also requires a high degree of daily intake tracking, ensuring the foods you ingest are within your carb limits. There are different variations on the Keto Diet which we will not specifically detail. However, know that someone on a Keto Diet is highly aware of the drinks and foods they eat and the levels of sugar and carbs they are consuming on a daily basis. Research has shown that people sticking to the Keto Diet have seen positive results when it comes to weight loss and is often recommended over a low fat diet. 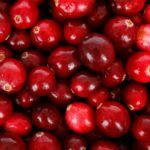 In addition, the diet is highly favorable for someone who has diabetes or is pre-diabetic due to the minimization of sugar and carbs from their diet. Brain injuries: May improve recovery and prevention of brain injuries such as concussions. So where does kombucha come in to play when it comes to the Keto Diet? We know that Keto Diet participants need to be highly aware of the foods and drinks they consume. Trying to keep within the 20-50 carbs per day limitation means you need to be very selective when choosing your meals and drinks. In the beverage world, you would be hard pressed to find many drinks that do not contain sugar or carbs. Sodas, juices and even milk can be of high enough carb content to risk taking you out of Ketosis. Therefore, to be absolutely sure of little to zero carbs, Keto Diet’ers will need to stick to water, tea, coffee, low sugar sodas and juice alternatives. If the Keto practitioner wants to consider kombucha as an option there are a few things to consider. Kombucha when purchased in store has a wide variety of brands, each with their own flavors, teas and you guessed it, nutritional components. 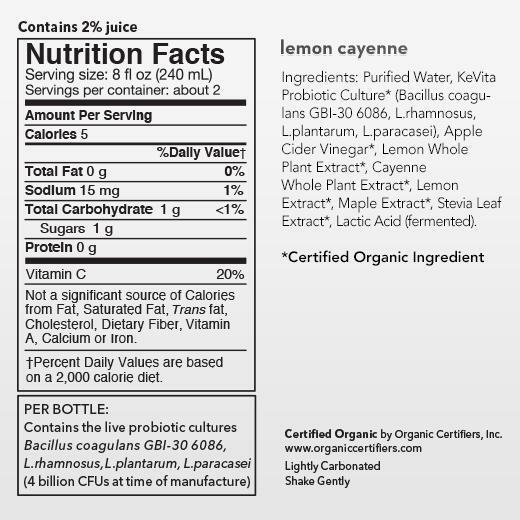 For Kombucha Keto purposes the nutritional line we are looking at is sugar/carbs. Each gram of sugar is a gram of carbs, so any additional carbs are due to other ingredients added to the brew. When bottling kombucha the different brewers decide what kind of fruits, vegetables, herbs and spices to add to their final product to make the kombucha as tasty as possible. The different ingredients of course come with their own levels of sugar. 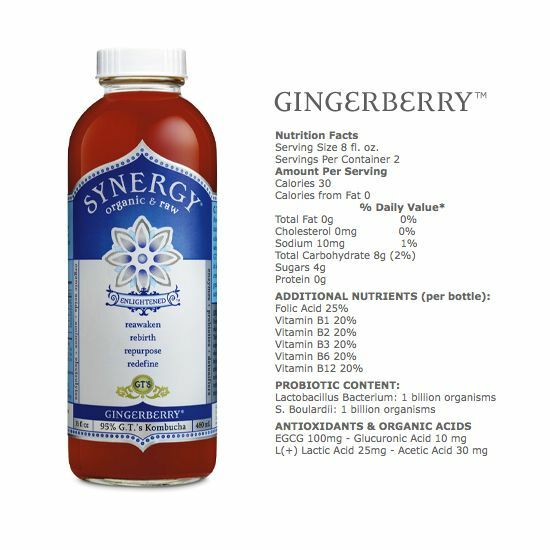 Taking a look at the GT’s Gingerberry we would note that it is a flavored kombucha using berries as a key ingredient in its final product. Since there will be a noticeable amount of juice and sugar in this brew, we can immediately assume there will be sugar and carbs in some fashion. Looking at the nutritional facts we find that there are 8g of carbs and 4g of sugar per serving (2 servings per bottle). For someone looking to limit their daily intake to 50g you could see that drinking a quarter to half bottle would be manageable, the full bottle becoming a bit of a problem. This next kombucha is the Brew Dr Clear Mind which is flavored with oranges, hops and coriander. Based on it’s serving amount, a half bottle of this kombucha will give you 5g of sugar and 9g of carbs. Again this is not an overwhelming amount of sugar and carbs compared to many juices and sodas, but it is enough to keep you aware and for some might not be worth the carb intake. Our last example is from KeVita and they make a Lemon Cayenne kombucha which is significantly different from the previous brews. A half serving of this brew will give you only 1g of sugar and 1g of carbs. The whole bottle giving only 2 grams of each. This type of brew has limited the amount of sugar in its recipe and the end result is a very friendly Kombucha Keto brew. People looking to have a drink without any concern of consuming too many carbs can look to a brew like this for a worry free drink. So what makes the KeVita brew different from the others? In looking at their ingredients, the items they use to flavor their brew is apple cider vinegar, lemon extracts and cayenne, all items containing no sugar. This is likely they closest they can get to raw kombucha while still being able to add flavor to it. When it comes to the Kombucha Keto question the answer is simple. Kombucha can most certainly be a Keto Diet friendly drink under certain circumstances. 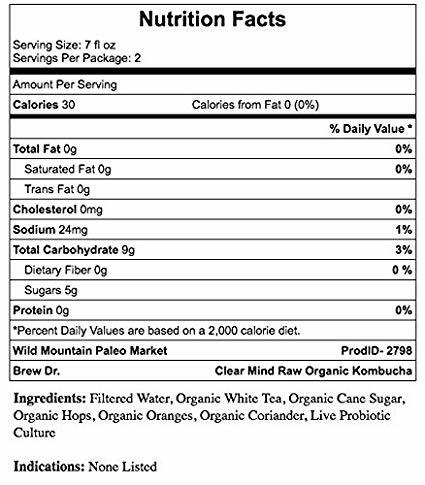 We suggest closely investigating store brand kombucha’s nutritional label. You will typically find that the brands selling “raw kombucha” will have the best results. Raw kombucha is the brewer telling you that they have not added any fruits or flavorings to the brew and it is in it’s raw fermented tea form, usually having the least amount sugar and carbs. However, the issue is that you will always need to rely on the brewer and the availability of raw kombucha to control your carb and sugar levels. This is where brewing kombucha at home comes in to play.. When having control of the brewing process you can dictate how much sugar will remain in the final product. 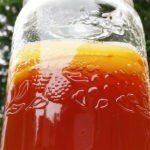 The longer you ferment your kombucha the more the bacteria and yeast are able to consume the sugar within the sweet tea. While you start with nearly a cup of sugar to begin the process, if left long enough, the sugar can be brought down to zero giving you an extremely low carb, low sugar beverage. However, at this point the kombucha tends to taste very close to vinegar. Many have become quite fond of their highly fermented kombucha brew and enjoy the raw sugarless drink. If you add non-sugar flavoring (like lemon, lime, spices etc.) you can have a tasty carbonated beverage that does not negatively affect what you are trying to achieve with your Keto Diet. The power of having such a healthy drink at your disposal is highly underrated. Not only can you benefit from the millions of gut healthy probiotics, Kombucha Keto Diet assistance, but regularly drinking kombucha can help you to avoid the sugar based drinks you may crave. As we have explained in our popular article: “When to Drink Kombucha for Results” it is best to consume kombucha in smaller dosages but more consistently. There are many goals you can achieve by doing so in addition to sticking closely to your Keto Diet. You will always achieve more by drinking kombucha consistently over drinking a bottle now and then. In consistent drinking, not only will smaller dosages help you with carb control, but depending on what time you drink kombucha can also determine what additional benefits you can achieve. For example, it is known that drinking kombucha first thing in the morning fires up your digestive system which in turn helps to convert your food to energy more efficiently. This can be particularly useful and complimentary to a Keto Diet practitioner where energy conversion from food is an integral part of your results. 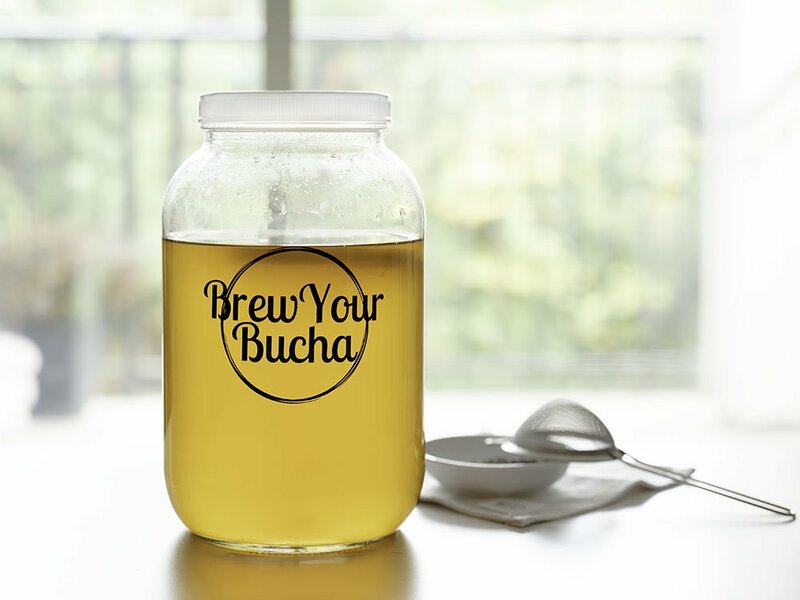 At Brew Your Bucha we understand and appreciate the benefits to your body that come with sticking to a Keto Diet. 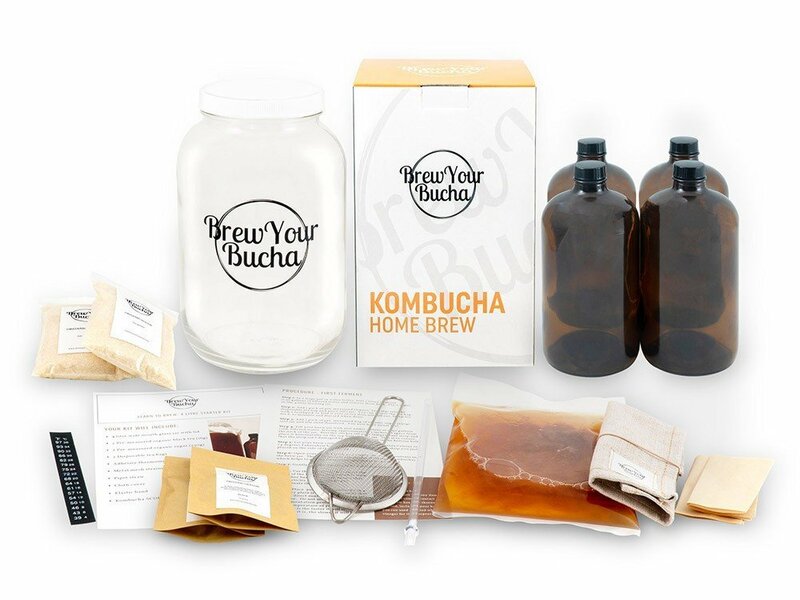 Kombucha can play a big role in helping people achieve and maintain Ketosis and our hope is that we can continue teaching people about kombucha and how to make it for the benefit of Kombucha Keto Dieters. If you have questions about the Keto Diet and kombucha’s role in it. Please let us know by sending us an email. 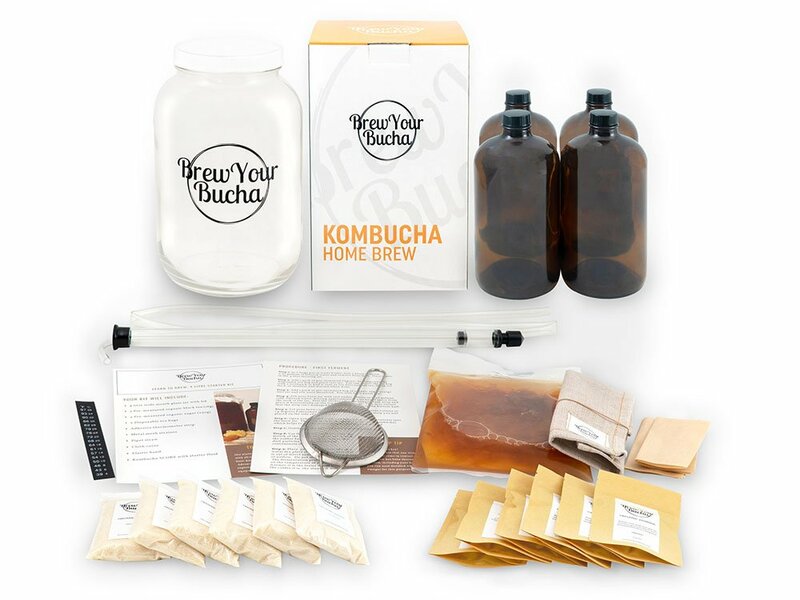 If you are finally convinced that you should begin brewing your own kombucha, we’re here to help. Check out our shop and more specifically the 4 Litre Brew Kit, 4 Litre Deluxe Kit, or 4 Litre Supreme Kit which is the easiest, affordable and most convenient way to get started. We’re here for you and are always here to guide you through your kombucha journey! Just use the orange chat button in the bottom left if you ever have questions about the brewing process or while you are in the middle of your brew and just need a few pointers.